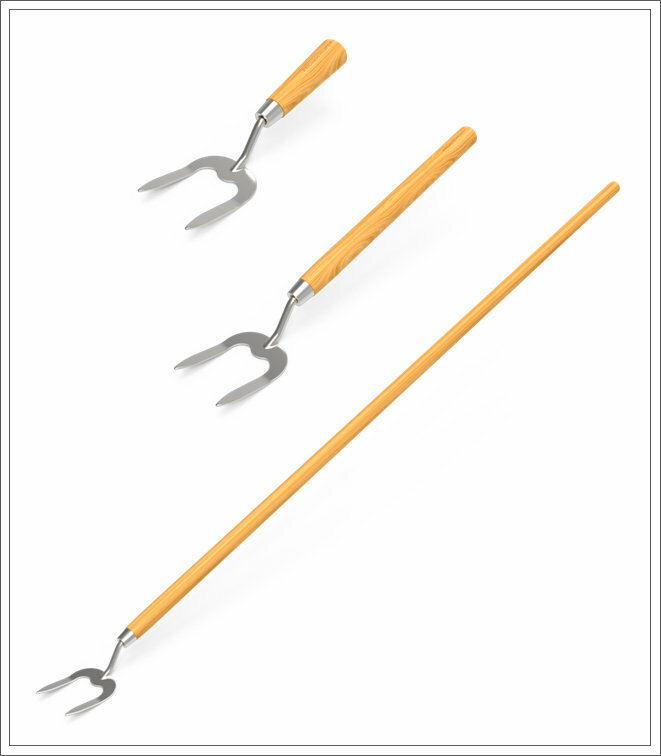 The Garden Prong is a tool with a unique design which lends itself to actually weeding around the base of plants and shrubs without damaging the plant / shrub itself. It is used to remove weeds & it is also used to aerate the soil in and around plants and vegetation. The tool that has two flat slightly curved pointed polished stainless steel prongs. It is supplied with an Ash wooden handle and it is available in various lengths to enable ease of use in varying garden environments & requirements. 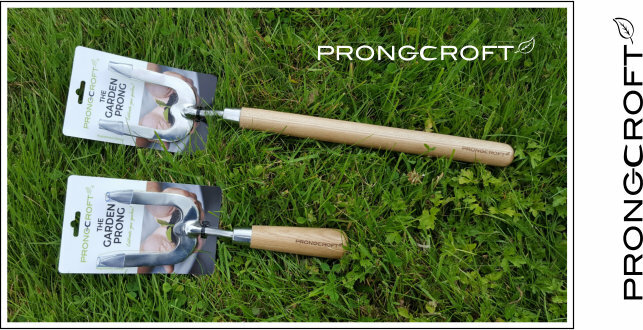 The Garden Prong can help Cultivate your Garden and help to provide a sense of achievement and well-being. “Short” Garden Prong – for flower beds, pots and raised beds. The tool is very light weight, sturdy and easy to use for people of all ages and abilities. NEW from Prongcroft Ltd – “The Garden Apron”” it is the Gardeners companion. The adjustable Straps are comfortable to wear and do not cut into the knee, as with traditional knee pads. There is also an integral pocket facility to insert standard knee pad inserts, if additional padding is required. PRONGCROFT’S “The Garden Apron” is the, Gardeners companion. Always Leads to Revolutionary Ideas.